I can’t quite pinpoint the point in my life where I started to feel alienated from those that are younger than me. The turning point where I thought “I was never like that at your age” or “I swear kids weren’t getting pregnant at that age in my day”. 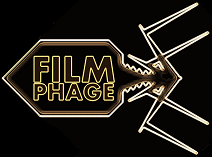 Don’t misinterpret that for me being an old, miserable Phage; I’m actually relatively young – spawned in the mid-80’s. But I still wonder what the hell the kids are drinking nowadays to make them behave so oddly. Or maybe I’m just jaded I didn’t behave so recklessly back in my youth. It’s a peculiar thing that happens to everyone when they hit their mid-twenties – they start to relate more to those older than them, than those in their teenage years. This is despite the fact that you’ve obviously been a teenager by this point, but you’ve never been a 30 year old. Odd isn’t it? Well, these inter-generational relationships are the subject of Parental Guidance – a film spanning three generations. But is it lovable like someone else your age, or as irritating as a 18 year old know-it-all that “really discovered who they were” on a beach in Thailand? Parental Guidance is a good old-fashioned family comedy starring Billy Crystal and Bette Midler as Artie and Diane Decker – two grandparents that are somewhat ostracised by their child owing to their quirkiness. But they’re called upon by their daughter, Alice (Marisa Tomei) to look after their three grandchildren whilst she goes for a few days away with her husband. The problem? Artie and Diane are old school parents, whilst Alice and her husband are more new age (e.g. never say “no”, say “wouldn’t you rather” – a more gently, gently approach). Just how will the family cope?! Yes, yes, it’s all very formulaic and lightweight, but that’s pretty much the point. Obvious comparisons would be to Cheaper by the Dozen and films of its ilk, but they’d be misplaced, because this film isn’t a train wreck. This is essentially a platform for Billy Crystal to be Billy Crystal. For some, that’ll sound like torment, but to others it’ll sound like heaven. Me? Well, I’ve never really been exposed to many of his movies / appearances on TV – it seems you guys in the US get a lot more of him than we do. For this reason, I thought Crystal was genuinely funny. Sure, some of the jokes were very wide of the mark, but the ones that landed on target made me chuckle. Not guffaw and fall about the aisles, but chuckle nevertheless. Similarly, Bette Midler has been given some great lines too – one exchange between her and a very demanding Russian violin teacher was particularly memorable. What of the rest of the cast? Well, they’re all serviceable, but as I say – this is a Crystal and Midler vehicle and not much else. They’re just there. I’m well aware that Marisa Tomei can really pull off great roles (The Wrestler for instance), but she was somewhat underutilised here – the part could have been played by any actress really. Similarly, the three children are nothing too remarkable, but their performances never seemed hackneyed or weak. They’re just not Pierce Gagnon. Yes, I can pretty much manage to shoehorn Tom Hardy or Pierce Gagnon into the vast majority of my reviews. In terms of plot development, you know you’re not going to get some astronomically complex plot. This is a “U” certificate after all – a true family film. Everything is relatively linear and you can foresee the ending before the film even begins, but I don’t think that’s the point. The emphasis is on the dichotomy of parenting styles – old school grandparents vs. new age parents. And I enjoyed that. You see, I’m much more an advocate of the straight-talking method used by Crystal and I could relate to his qualms with the gently, gently approach used by his daughter. Other reviewers have used a lot of “sch-” prefixed words to describe the film, which I’m not entirely in agreement with. Sure, it’s sweet and sometimes very sentimental, but it’s done well. It carries a message that we can all relate to: we get older and things change. In my screening there were a variety of ages – the parents and grandparents were laughing, but so too were the children. Although the youngsters were more amused by a supersoaker to the groin than Crystal‘s off-the-cuff remarks about life. I can’t say I’ll be recommending the movie to all and sundry, but if you’re in need of a holiday film to entertain the family then you could probably do far worse than Parental Guidance. Whilst Parental Guidance isn’t a family classic, it is an enjoyable film. It doesn’t outstay its welcome and delivers what you’d expect: an all-around enjoyable family film. If you’ve not been saturated by Crystal in the past then you’ll find much to like here. It’s unlikely to become a film you’ll love and cherish, but nor is it as tacky and obvious as Cheaper by the Dozen and other films that deal with grandparents looking after children. Crystal himself summed up Parental Guidance as a “Home Alone for grandparents”. And you know what? I think he’s about right. Maybe my enjoyment of this movie is testament to my cynicism about Generation whatever-letter-we’re-on-now. Maybe I’m prematurely long in the tooth. And maybe I’m tainted by my own lack of kids. But for whatever reason, I enjoyed Parental Guidance a good deal. Don’t be led by the opinions of others who’d probably dissuade you from seeing this if you’re on the fence about it. After all, would you listen to the “life advice” of the aforementioned 18 year old who’s just returned from that one week sojourn in Thailand where they got in touch with their inner goddess? When in fact they were just dancing on a beach whilst drinking screwdrivers out of a plastic bag? Yes? No? Well, I guess it all depends on your age… Much like your enjoyment of this film. This entry was posted in Review and tagged age differences, babysitting, Bette Midler, Billy Crystal, Cheaper by the Dozen, comedy, grandparents, Home Alone, Marisa Tomei. Bookmark the permalink. After your response to MY review, I had to come check yours out. It appears we are part of a very elite club of critics that didn’t actually HATE this film. It surprised me. The children weren’t the annoying brats they usually are in these types of pictures. They were likable, as well as the adults. That right there put it over the top for me. It’s not original, no, but it is very warm and even funny in parts. I laughed. Great review my friend!